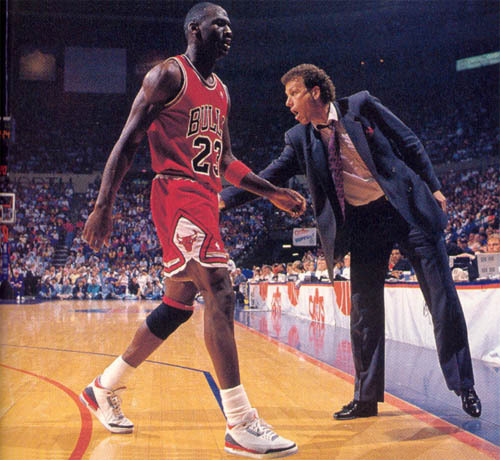 Finishing up the plethora of Air Jordan III retros over last two years is this missing piece in the puzzle. 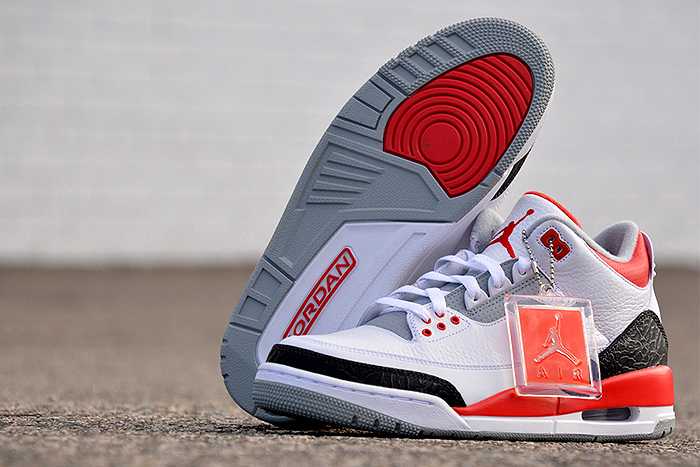 The reissue of the “Fire Red” Air Jordan III. Amongst a busy weekend for shoe releases, this one stands out. The last time we had the chance to get our hands on these through stores was back in 2006 and we couldn’t be more happy to see it back. It’s always a pleasure spotting a pair of white or black Cement III’s but when a Fire Red make-up makes an appearance it causes a stare that lasts a few seconds longer than usual. You’ll find various pictures online with MJ in what looks to be a slightly different version of this release, with the cement print in its original grey/black format rather than the blacked out variation. 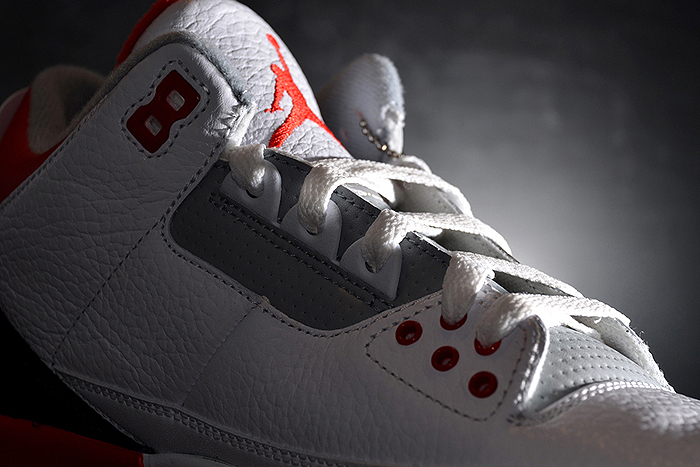 Images of the “Katrina” samples looked more along those lines and now they’re set to release in 2014. 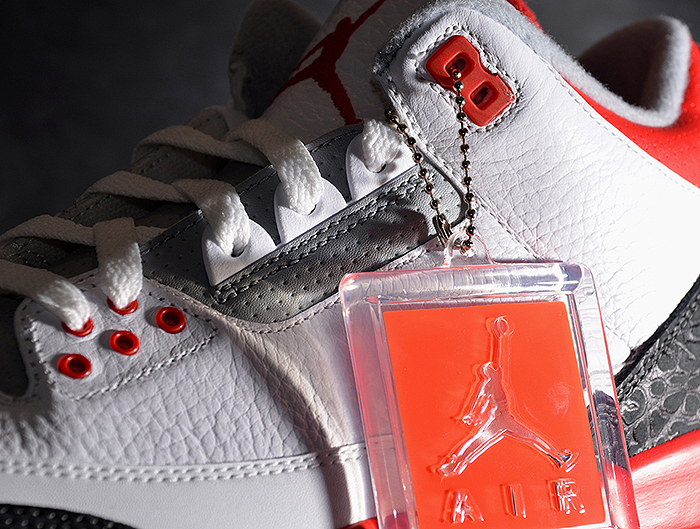 Back to here and now though, the Fire Reds look as good as ever. White Air Jordan’s always provided the perfect bases for the Bulls’ team colours to shine and here there’s a balance of accents that compliment each other very well. The Air Jordan III Fire Red will be available on 3 August from all good Jordan stockists such as Urban Industry and Crooked Tongues. 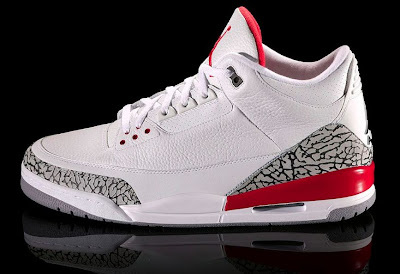 Images courtesy of Sneaker News.